Anelle Williams, M.A. Clinical-Community Psychology, Texas Southern University and principal at Anelle Williams & Associates, helps people live better lives intentionally by design. She is a transformational Psychotherapist in private practice, a breakthrough Life and Executive Coach and Workshop Presenter. Anelle is the 2019 president of the Houston Association of Black Psychologists. She produces and hosts Life in Focus, a radio talk show on KPFT, 90.1 FM Houston. She is also a sought-after subject matter expert. 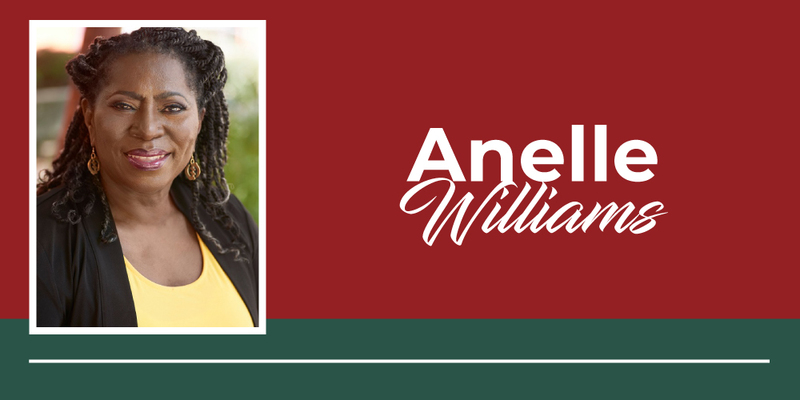 Anelle Williams holds certifications as a Nationally Certified Psychologist (NCP), Board Certified Clinical Behavioral Psychotherapist (BCCP), Nationally Certified School Psychologist (NCSP); Professional Life and Executive Coach; Licensed Specialist in School Psychology (LSSP), and Licensed Psychological Associate (LPA) – Independent practice. She has trained in a variety of technologies and treatment modalities including but not limited to EMDR, NLP, Timeline/Lifeline Therapies, Psychotherapy, Conflict Resolution, Neuro/Biofeedback, Trauma and Grief Treatment, group methods from the Center for Mind-Body Medicine, Healing and Restorative circles, including Emotional Emancipation Circle Facilitation among other therapeutic methods. Anelle Williams is passionate about giving back to her community and helping people live better lives such that she offers client-centered services related to mental-emotional wellness, anxiety, depression, stress, trauma, relationships, grief and loss, ADHD, multicultural issues, community-based services; personal/executive coaching; teaches bi-weekly Communiversity Psychology Classes and hosts healing/restorative circles. Anelle is a 25 year-plus career veteran in Clinical/Community and School Psychology and public-school administration. Anelle is a visionary, and as president of the Houston Association of Black Psychologists (HABPsi) brings innovative methods to organization expansion, community collaboration, and continuing education training.